One only needs to look at the fans of the two clubs to see why Milan lost this one. 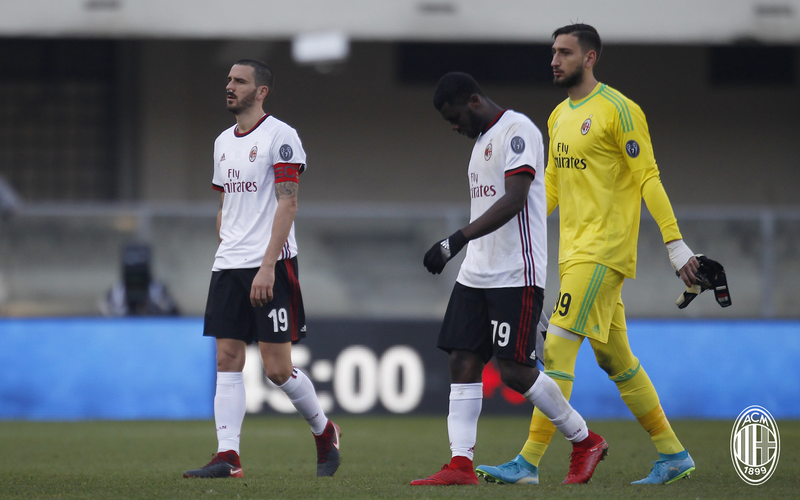 On Wednesday, after Milan fans had worked themselves into a tizzy for nothing on social media, the Curva raised a banner against their own player and viciously insulted him, then whistled him every time he had the ball. Miraculously, with 9,000 “fans” like this in attendance, Milan were able to take out an uninspired Verona in the Coppa Italia. Then on this day at the Bentegodi, Verona returned the favor goal for goal. While Milan fans were shown turning their backs to the players in protest, Verona fans were ridiculously loud for the entire match, singing and chanting in… what is that called again? Oh yeah… support of their team. It literally wore me out half a world away, they were so loud for the entire game. And so between Milan fans turning on their own when the wind changes and the Verona fans creating a nonstop cacophony of support for their team, I think Milan simply were battle weary. Certainly it wasn’t about trying, as Milan took 30 shots with a mere eight on target and had 68% possession. Verona were brutally clinical, with only six shots, yet four were on target. And their goals were great goals, too. But the game was both very physical and kept at a frenetic pace for much of the game, and Milan had gone two months without an official fitness coach as well as apparently not training hard enough under Montella. Well that and playing in three competitions. Those are not excuses for this kind of a match, but when you look at the big picture, it does explain how something like this could happen. Verona actually lost Valoti to injury in the 22nd, then Cerci was also injured and subbed off in the 32nd. Personally, I think his shorts were just too long for him and those thighs he loves so much to show off. But still, Verona had to use two subs in the first half, both of whom would come back to bite Milan later in the game. Their first bite, however was in the 24th, on a… wait for it… set piece. Carocciolo headed it past Donnarumma from a corner brilliantly. 1-0 Verona. That was like having heavy losses in a battle, and took a lot of the air out of Milan, for sure. But the second half is where they lacked focus and their efforts seemed to be more frustrating than fruitful. Despite Gattuso subbing on Cutrone for Rodriguez at the half to try to find more bite in attack, it was Verona again in the 55th with a goal from Moise Kean, one of their subs. 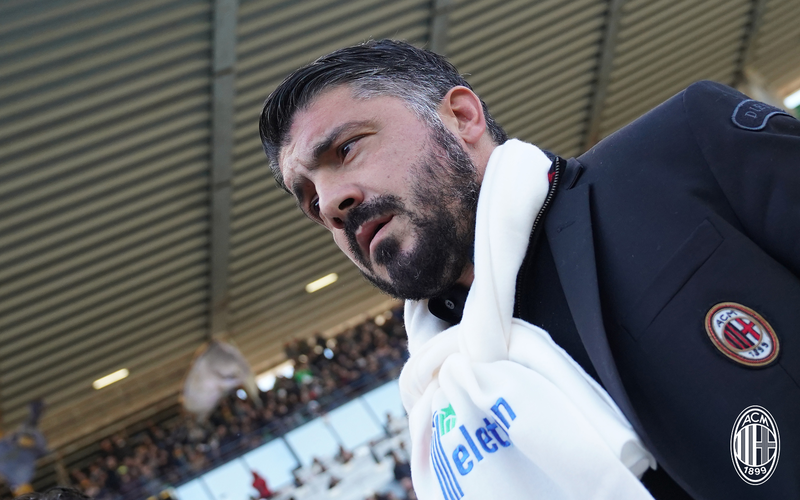 So Gattuso reacted by replacing Kalinic with Silva in the 57th, and then Locatelli on for Montolivo in the 71st, but to no avail. Verona scored through Bessa in the 77th to make it 3-0 for Verona. 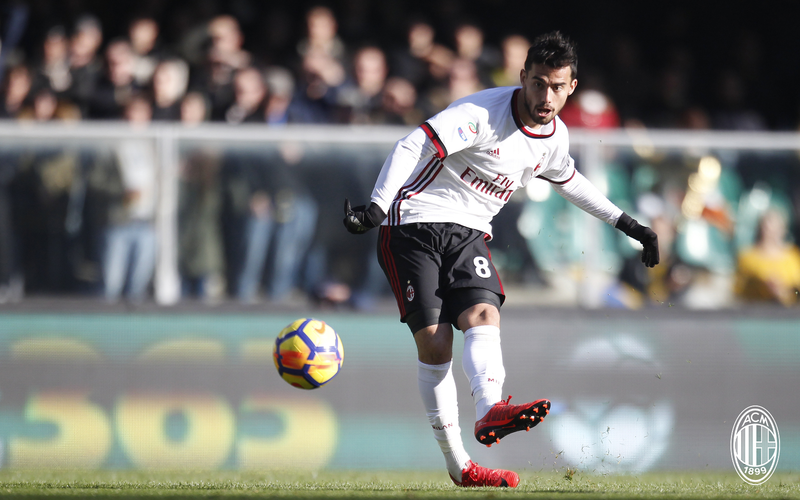 To add insult to injury, Suso was sent off in stoppage time due to a VAR foul – one that would never have been otherwise called by a ref. He will miss the Atalanta game this weekend. The game was brutal. It hurt. There doesn’t have to be any excuses, even the best teams have bad games. We knew with an 11 player renewal this summer, we knew it would take time to gel and patience, too. That clock reset when Montella was sacked, but our fans are still stuck in the pain of the past five and a half years. And now, when our team most needs our support to get them to that next step, our fans are literally turning their backs on them. Not only that, but attacking our own players. If we think our team were poor in Verona, imagine how much more poor we look as fans with our behavior? It seems we are all a little too battle weary.